JDC - Archives : A Jewish tailor working in the Hallein DP Camp. Search > Search Results > A Jewish tailor working in the Hallein DP Camp. 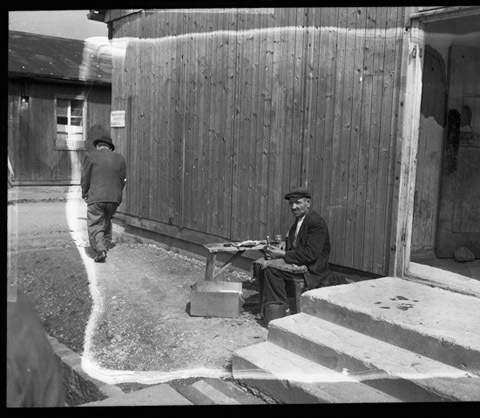 Title A Jewish tailor working in the Hallein DP Camp. Description A Jewish tailor working in the Hallein DP Camp to make clothing for other refugees living in the surrounding DP Camps. Before 1949, there were 200 Jewish refuges in Austria, but influxes of refugees from Hungary and Czechoslovakia have increased this total to 1200, causing overcrowding of the facilities.